St. Jude Children’s Hospital is very near and dear to my heart. As a teen cancer patient my parents were able to consult with St. Jude doctors to confirm that the protocol for my treatment being followed in Miami was the right path for me and it provided peace of mind for my worried and exhausted parents. Our family chose to stay in Miami for my treatment but any chance I have to support the mission of St. Jude, I certainly do. So I’m soooo excited to share The Giving Hat promotion this holiday season! 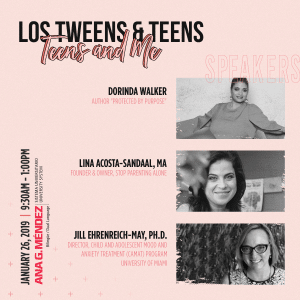 This holiday we invite you to join our Los Tweens & Teens familia as we support St. Jude and the chance for more children to survive childhood and adolescent cancers. What better way to help than to connect your holiday shopping with a purchase that directly benefits St. Jude? What I LOVE about this hat is that it helps remind young kids to appreciate their health and their family. My favorite version of all three hats is ‘Give Thanks’ because it is a great opportunity to have a conversation with your growing child (or family member) about all he or she has to be thankful for in their life, not just during the holidays. 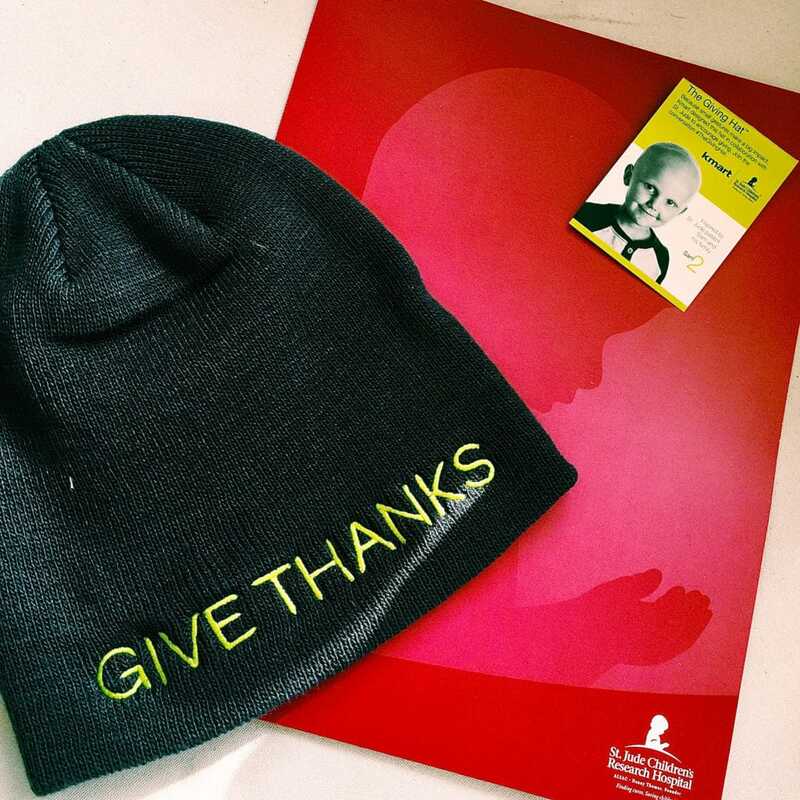 In collaboration with St. Jude, Kmart has introduced The Giving Hat™ – a new way to draw attention, heighten awareness and raise funds in the fight against childhood cancer and other life-threatening diseases. Kmart will donate $1 from the sale of The Giving Hat™ to St. Jude Children’s Research Hospital between 11/8/15 – 12/31/15 with a minimum guaranteed donation of $50,000 to St. Jude. Buy The Giving Hat™ and also donate directly to St. Jude via Kmart.com/StJude. Join the conversation and spread the word on social media by sharing a photo wearing “The Giving Hat” with the hashtag, #TheGivingHat. Check out @LosTweens on Twitter, Instagram and Facebook so you can see our cool selfies in our hat. Get yours soon! This entry was posted in #Shopping, Body, For Mothers & Tias, Holidays, Videos and tagged cancer, Kmart, St. Jude, talking with tweens about Cancer, The Giving Hat. Bookmark the permalink. Qué hermosa campaña, me sumo a colaborar! Muy tierno el video! 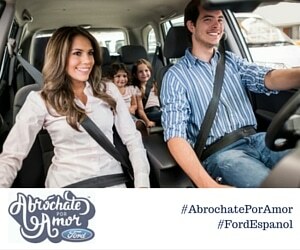 Que linda campaña, la comparto por twitter! Excelente trabajo el que hace St Jude al ofrecerle esperanza a los pequeñines que batallan el con el cancer. Que excelente campaña, hoy por tí mañana por mí. Qué linda manera de cooperar con una buena causa. These are campaigns that we all need to join in and support. I for one am ready for it. Let’s do this! Es una de mis fundaciones favoritas y a las que siempre he apoyado.